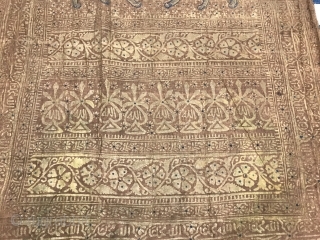 19th Century India Gold Block Print Textile. Gold leaf block print using the Varak technique of transferring gold leaf from paper to block print. Made in Gujarat with symbols of the Nawab Sahib of Jungadh. Flying human head horses at top of textile shows the turban of a Nawab. Center with stylistic shield surrounded by tiger heads. Two full size tigers below. Tigers were the National symbol of India and Royalty and were found in Gujarat state for many years although now in less abundance. The Nawab of Jungadh barred the hunting of tigers at the end of the 19th century. Background has typical flowers with indigo dot at center. Edges have Hindi calligraphy around the edges. 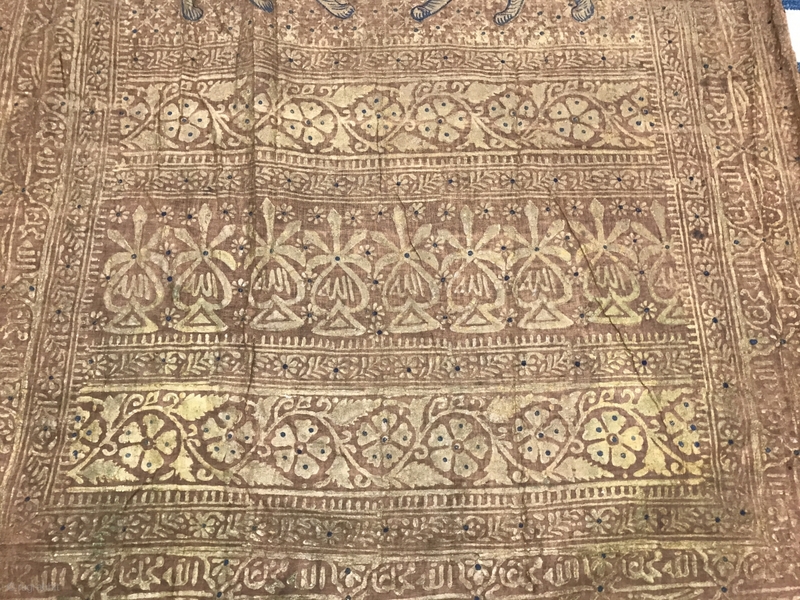 These type of textiles were made in Gujarat as far back as the 16th and 17th century. 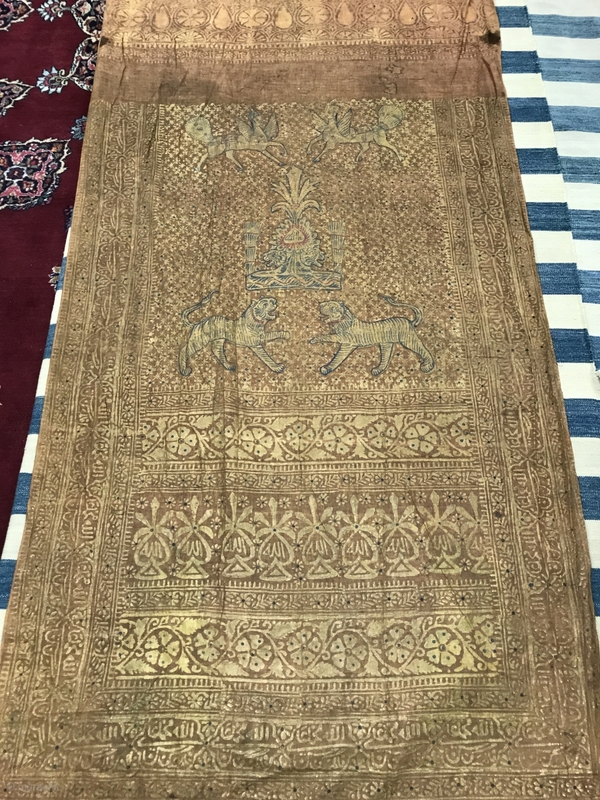 Material: Hand printed gold leaf on cotton Size: 7’10” x 3’ 10” Condition: Very good with slight loss of gold at spots and one 1 ½” circle of dye at top edge. No holes or tears.